data. Transcripts from long (e.g. dbEST) and short reads (e.g. using full cDNA genes derirved from the PASA EST assemblies. per locus, and avoiding artifactual gene splits and joins. 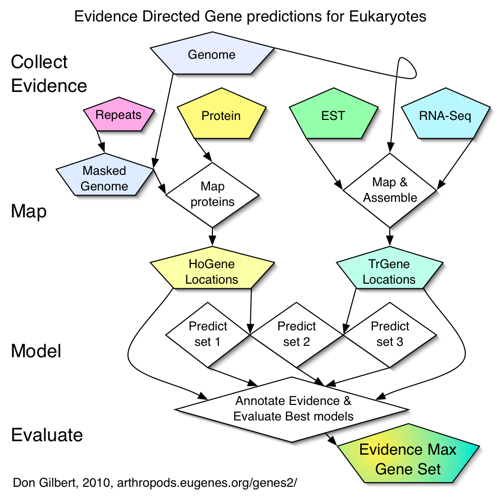 evidence scores including transposable elements.